Happy Thursday! Boy do I have a treat for you today! The second I put on Dandy Nails Betrayed Desires it automatically jumped onto my favorites list! 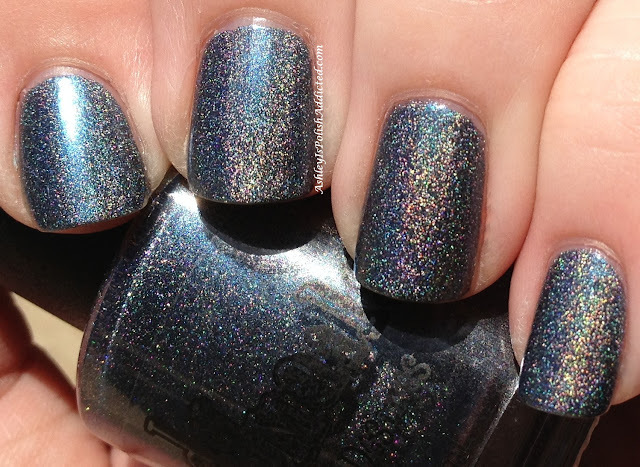 This polish is seriously a must-have for everyone! The formula is perfection (I could have gotten away with one coat but I used 2 out of habit) and it is so gorgeous. It's a medium-to-deep steel blue with an amazing holographic effect. 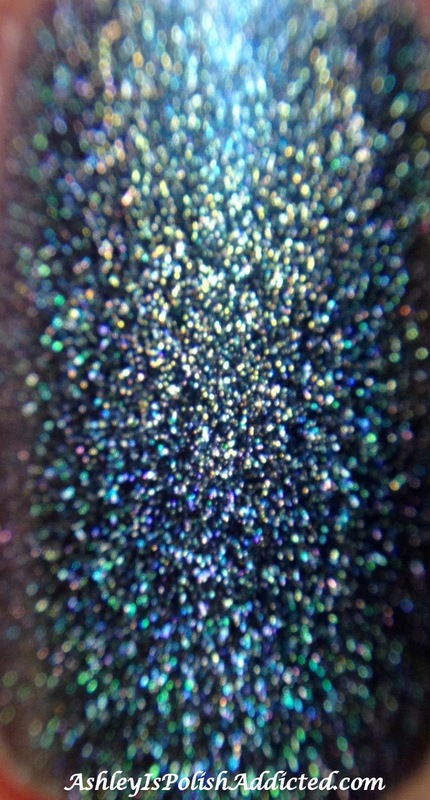 This type of holo is my favorite - it's there and stunning but doesn't cover up the color of the polish. 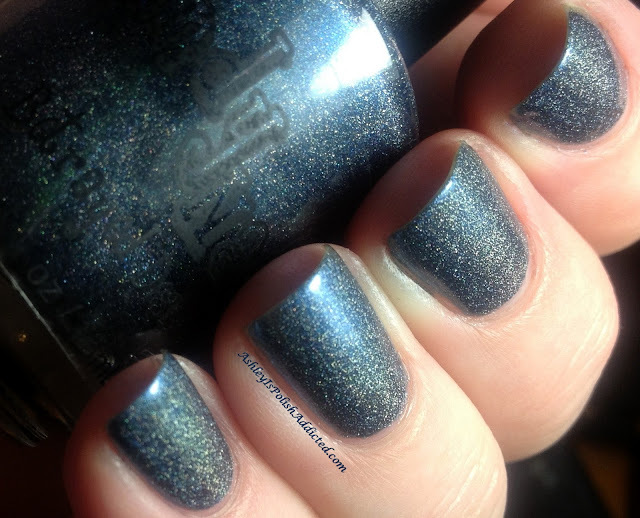 No topcoat for the photos. I loved this so much that I took way too many photos - see more after the jump! Dandy Nails polishes are available on her Etsy page and also at Ninja Polish. Make sure to follow Dandy Nails on Facebook and Ninja Polish on Facebook to stay up to date! How beautiful is this!? Your swatches are flawless! That is a stunning color! !